South Korea is an East Asian state on the southern half of the Korean Peninsula. Seoul is the capital and largest city of South Korea (Republic of Korea). The city was the capital of Baekje (18 BC – 660 AD) and the Joseon Dynasty (1392-1910). Upon the establishment of the South Korea in 1948, Seoul became its capital and designated the nation's only Special City. Residents of Seoul are referred to as "Seoulites". Gyeongbokgung (Gyeongbok Palace) is a palace located in northern Seoul, South Korea. It was the main and largest palace of the Joseon Dynasty and one of the Five Grand Palaces built by the Joseon Dynasty. The Seoul Metropolitan Subway is one of the most heavily used subway systems in the world, with well over 8 million trips daily on the system's ten lines (total figures for Seoul Metro, Seoul Metropolitan Rapid Transit Corporation & Korean Railroad commuter lines). The system serves Seoul and surrounding Gyeonggi province and Incheon Metropolitan, with a connection to the Incheon subway system. From March, 2007 it will also connect to the Incheon International Airport Railroad (A'REX) at Gimpo Airport station (Line 5). 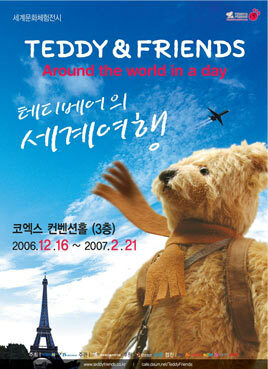 It began to serve Cheonan, Chungnam province in 2005.